China consumed over CNY 109 billion (US$16.3 billion) of vitamins and dietary supplements (VDS) in 2015, with an 8% increase over 2016, this is a result of increasing disposable incomes and increasing health awareness of almost every segment of the rising Chinese urban, middle class. Indeed there are now over 350 million ‘middle class’ consumers in Mainland China representing the largest VDS market in the world. 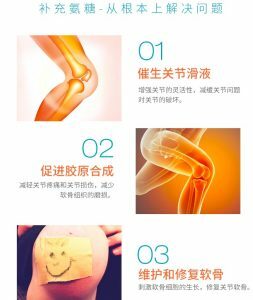 With more than 300 clients and over 5 years experience in the e-Commerce market, we have the insight that you need to know to enter the Chinese market for health care products and supplements in China. We also have a wealth of experience attracting this target market of high-net worth & middle-class consumers. Store set up is one thing, quality marketing and branding are another. 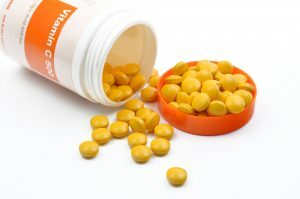 By 2020, the market of vitamin and dietary supplements in China is expected to reach CNY 149 billion (US$22.3 billion), with a CAGR of 6.4% in the 2015-2020 period. With increasing levels of wealth comes changing attitudes with health a primary concern for individuals, this has created huge opportunity in the Vitamins market for savvy international brands where reputation, quality and branding is the consumer’s primary concern. VDS companies are further segmenting their products to meet the growing specific demands of their Chinese consumers. Not only are they segmenting by conditions such as memory boosting, immunity enhancement or pregnancy health, but they are also adjusting their ingredients and foreign branding to merge with local Chinese preferences. 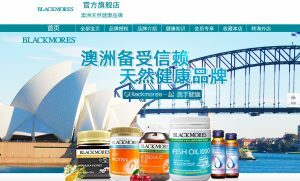 Australian vitamins and health product supplier ‘Blackmores’ has more than doubled full-year profit to $100 million after increasing direct sales to China more than sixfold in 2016. In-country sales to China rose from $7.55 million in 2015/16 to $48 million in the 12 months to June 30, but Blackmores estimates that more than $200 million of its total $717 million revenue came from Chinese consumers as tourists and visitors took products home. Product registration and licensing for Health Sector Products is an extremely lengthy process, even if applications are successful it can take up to 3 years to process and there is no guarantee of approval in a system where strict regulation is superfluous and constantly changing. Rather with E-Commerce you can sell straight away without a license so long as you gain approval from the relevant cross-border platforms. With China’s huge online population of over 900 million netizens and 250 million e-shoppers, an online sales infrastructure is everything when entering the market. On Friday, China announced it had indefinitely delayed regulations that threatened to disrupt the flow of Australian products, including Blackmores vitamins and milk powder, into the mainland market. Blackmores chief executive Christine Holgate says China’s backflip on its cross-border e-commerce laws is a “win” for Australia & the firm. As a result, shares in Blackmores jumped more than 13 percent and defied the market gloom, up another 1.9 percent in late trade. Ms. Holgate said the change removes the uncertainty that had been hanging over the head of Australian retailers since the rules were first flagged last April. “It’s very good news and for me, it reiterates the commitment the Chinese government has to this very important cross border sales initiative, ” she told The Business. Tmall is the largest and most reputable cross-border e-commerce platform in China, it is associated with quality and authenticity in a market-place often associated with fakes. No wonder quality Vitamin brands seek to establish a store. 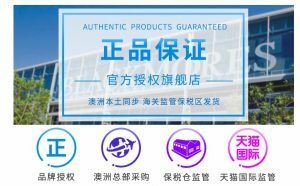 A Tmall.com storefront is essential to the China retail strategy of leading global businesses and the most effective avenue for China market penetration. 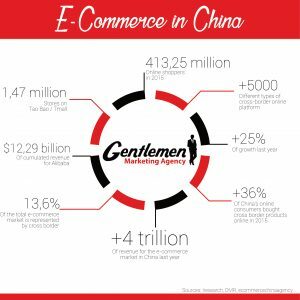 Companies with China in-country business operations can apply to Tmall.com. Companies with overseas licenses are eligible for Tmall Global. As an open platform marketplace, Tmall.com provides the infrastructure to host your storefront and unfiltered access to hundreds of millions of shoppers. Operating a Tmall.com storefront is much like operating your own B2C website, offering autonomy from design to operations to fulfillment and logistics. Tmall’s home page with search function for product sector or brand keywords in the top right. Let’s take a look at Blackmore’s Tmall store as a case study example & access what makes their brand image so attractive to the domestic Chinese market. 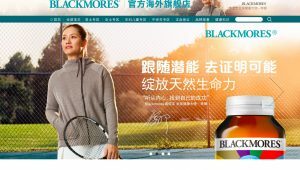 The figures speak for themselves, as the number one vitamins brand Blackmore sell over 50 000 Units on TMALL per month, a well-designed store and targeted marketing/advertising strategy is the key to their success. 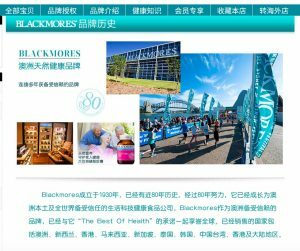 Blackmores uses a lot of iconic Australian imagery when it comes to branding their product on Tmall with the Sydney Opera house, harbor bridge and tropical beach references. Why such a focus on Australia? a) It is a clear indicator of identity, Australian products are immensely popular in China with a thriving free-trade agreement and continual demand for all things Ozzie. 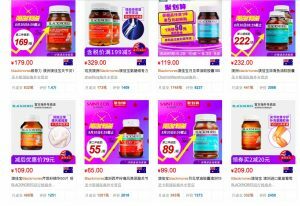 b) International, Australian brands are a byword for quality, particularly in the Vitamins & Health market, quality as a Foreign Brand is the key differential for the Chinese consumer. The iconic Sydney Harbour Bridge & Opera House with the product range placed in the foreground. Clear & bold offers with different tiered pricing on Tmall, these packages are the best-sellers. The brand also highlights their identity by featuring their headquarters, images of physical stores and also highlighting events such as a sponsored Marathons to promote health. Blackmores links itself to an active lifestyle through Marathon sponsorship, promoting a healthy lifestyle is a key component to their branding. The key take-home is Chinese buy established & trusted brands that are perceived to be large players in their home country, the keyword here is ‘perceived’, through intelligent digital marketing you can create a very powerful image online that connotes and reflects this success. Blackmore’s Marathon Sponsorship, an image of their headquarters and also a sample luxury store. Included as part of the product description page is the following Official Authorisation from the brand to sell on Tmall.cn & Tmall.hk. This Authenticity is very important in China with the domestic market often associated with counterfeits and poorer quality local goods. The buyers on Tmall need to verify that this store & product are genuine, this is why selling on this platform is so effective with the highest conversion rates, it’s a trusted source. 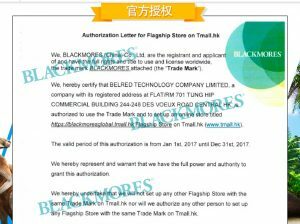 The Authorisation Certificate Included on the Tmall Page. 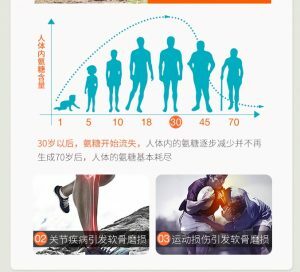 Below you can see that Blackmores’ tailor their advertising, they feature Chinese models in the images and link the product to their fitness & health. This Chinese Model is ‘Ling Feui’ a popular sports influencer in Mainland. Chinese Models are an important part of an intelligent campaign, content needs to be localised & relatable. 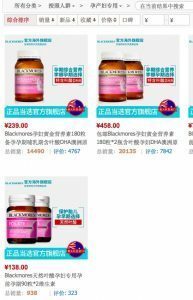 Blackmores have a wide and extensive product range in China with benefits ranging from; immunity, fitness enhancement and a variety of gender specific products. These can all be displayed on Tmall with different aesthetics for different pages. Here you can see the different options that remain coherent with Blackmores overall branding scheme. The end of the controversial one child policy brought a wave of second time pregnant moms and small children, who drove up demand for VDS for women and children. Here is Blackmores Pregnancy Range on Tmall, you can see the search bar at the top that allows for searching within the brand’s page for different product types. Notice the Australian ‘Seal of Approval’ on the product listing, a sign that international approval really sells. Some examples below demonstrate how Blackmore present research data to reinforce the effectiveness of their VDS range. Blackmores demonstrate the usual visual diagrams, step by step processes and quality imagery. More brands need to adopt this. The QR Code is a powerful method for driving traffic between multiple platforms. to the shopping cart page via mobile. Users can scan directly from desktop to mobile or can active a code link from the Tmall mobile browser too. A series of QR codes placed at the bottom of Blackmores page. Here you can see Blackmores offer a three-tiered VIP service for customers based on expenditure, you can also register here to receive exclusive product updates and news. Need an Expert on the Market? Contact us if you have a serious project for China.